Mathematics may be the most pure, the most abstract, the most ivory tower of all academic disciplines, but nothing, nothing is beyond the reach of politics. 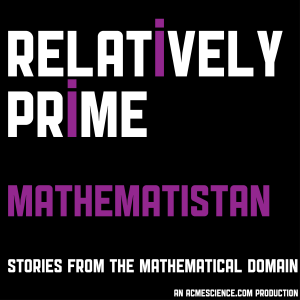 This episode of Relatively Prime looks at how politics effects mathematics and how mathematics can effect politics. Mathematics does not tend to be the focus of people who are aiming to become president of the United States, which reallay is not surprising. There are a lot of lawyers among the previous presidents, along with a few economics and business students. All of which do sound like more expected stepping stones to political office than a degree in mathematics. This does not mean they skip mathematical education in its entirety of course. Samuel spoke with Ronald Merritt of Athens State University about his research into the mathematical educations of US presidents and about which president has a proof included in Elisha Loomis’s book of proofs of the Pythagorean Theorem. Della Dumbaugh of University of Richmond tells us two stories of how Nazi Germany and the Boxer Rebellion changed the lives of individual mathematicians and the effects these life changes had on mathematics more broadly. Keith Devlin may not have born in the United States, but he is a very proud US citizen. He had only recently received his citizenship when the tragic events of September 11, 2001 came to pass. After the attacks, like a lot of other really smart people, Keith was contacted by the government and asked to lend his expertise to try and stop another attack. Keith talked to Samuel about went into his decision, whether or not he would make the same decision today, and some stuff which went down in Germany in the 70s. Gerrymandering – the dividing of a state, county, etc., into election districts so as to give one political party a majority in many districts while concentrating the voting strength of the other party into as few districts as possible. Few aspects of politics are as clearly open to mathematical analysis as gerrymandering. Just looking at district maps seems to scream for geometric analysis, and there really are a lot of different tests out there. Samuel spoke to David Austin about some potential gerrymandered districts and ways to test for them, then things got a bit bizarre. Samuel also sat down with Jonathan Hodge to talk about a technique Hodge helped develop to test for gerrymandering called the Convexity Coefficient. Not all of the ways to test for possible gerrymandering rely on geometry. Duke University Professor Jonathan Mattingly and his former student Christy Vaughn, she is currently a graduate student at Princeton, decided to use probability theory to check to see if the districts used in North Carolina’s 2012 elections had been drawn fairly. The results were eye opening.